Iceland are sweating on the fitness of Premier League duo of Gylfi þór Sigurðsson and Jóhann Berg Gudmundsson ahead of Nigeria Clash on Friday. 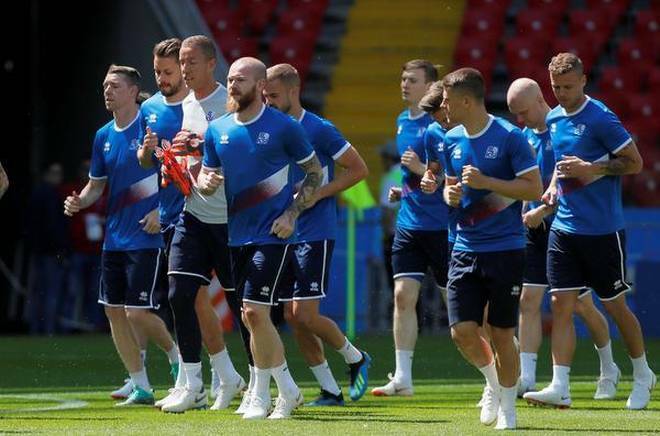 According to Ríkisútvarpið (RúV) claiming that Everton forward did not participate in Tuesday morning training season and it is unclear whether former Swansea man is injured or possibly nursing a minor injury after the match against Argentina last weekend. While Burnley winger who had to be substituted in the 63rd minute against La Albiceleste due to a suspected calf injury as the media and fans were allowed to glimpse World Cup debutant for 15 minutes only. Sigurðsson missed closing part of last season after suffering a knee injury but the 28-year-old attacking midfielder returned to action playing in both pre-World Cup friendlies against Norway and Ghana before playing entire duration 1-1 draw against Argentina. Iceland faces Nigeria at the Volgograd Arena on June 22 before tackling Croatia in last Group D encounter. Nigeria will win Iceland. My BetKing ticket will not spoil. Their World Cup Special Market must favour me ijn.